I had to ask my friends to change the subject the other night when they kept discussing how time is flying. They are already up to school supplies, school schedules and summer being over. Don’t ruin the endless summer vibe I have going, okay? It’s only July! Finding an awesome regular bar is one thing but a great stapless bra that is comfortable and stays in place? Really hard to find. I am all excited to have found this b.tempt’d by Wacoal Strapless Bra recently at Bloomingdales. The bra fitter lady assured me it was a great one and she was right. It truly feels like a regular bra in terms of comfort, I can wear it all day or night without having a problem and most importantly, it stays in place. This bra also looks great in every shirt and seems to fit under everything I own without showing. I know I have mentioned the Henri Bendel Beauty Essentials Trio set in a previous Friday Favorites post but can I please tell you again how much I love these bags?! 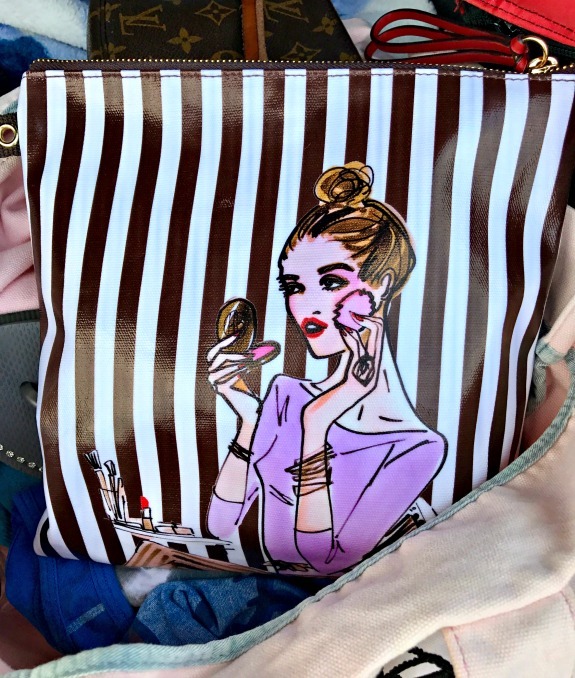 I use the largest bag from the Beauty Essentials Trio Set lately to organize my stuff inside my beach bag. All of my personal essentials fit inside (sunblock, hairbrush, tampons, sunglasses etc.) and it’s really easy to then locate what I need. The bags are waterproof, durable and really pretty too. I never travel without these bags anymore either! I use all three bags for makeup, toiletries and anything else that I want to keep organized inside of my luggage. If I went to the gym and had a gym bag, you bet I would be using these bags to organize my stuff! Um, how delicious does this chard cauliflower pizza look?! I shared this cauliflower pizza along with great salads the other night at Refuge. Salad and pizza will always be one of my favorite combinations! This cauliflower topped pizza has been on my mind ever since I had it – I can’t wait to go back and have it again. 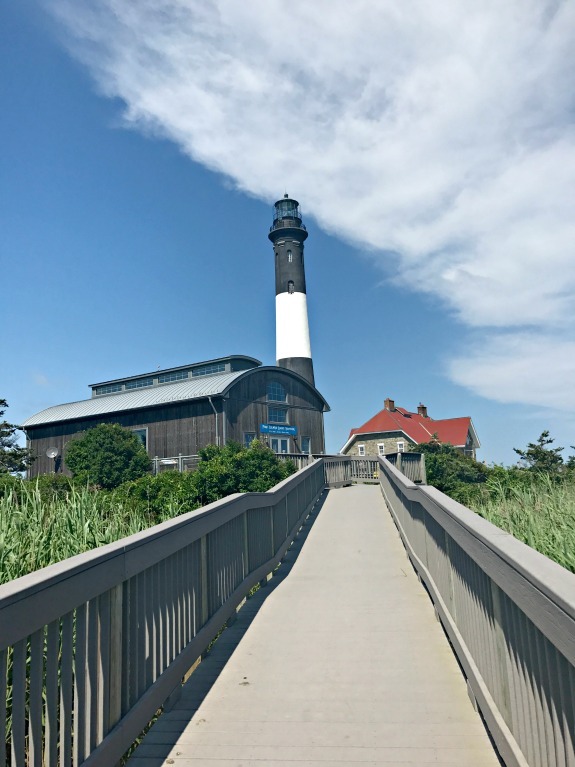 I love that we walked to Fire Island this week! 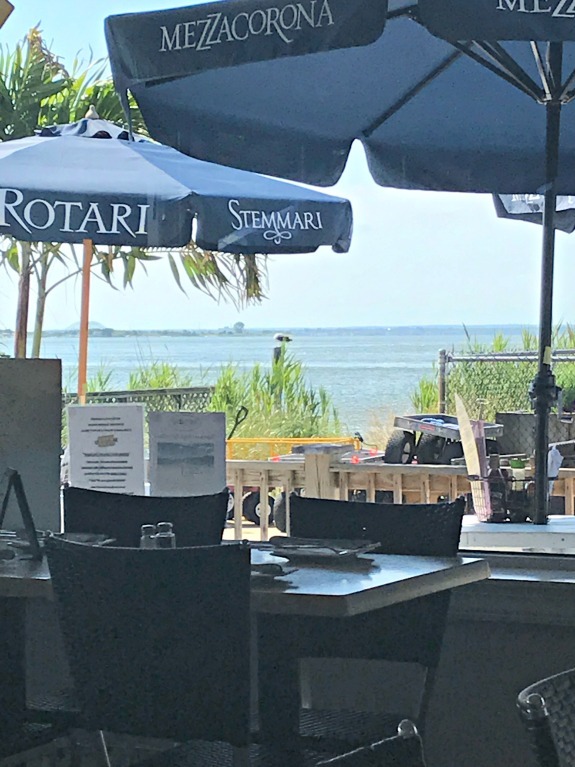 So I showed you what I ate the other night when we arrived at Surf’s Out for dinner but how about some pictures of the scenery. 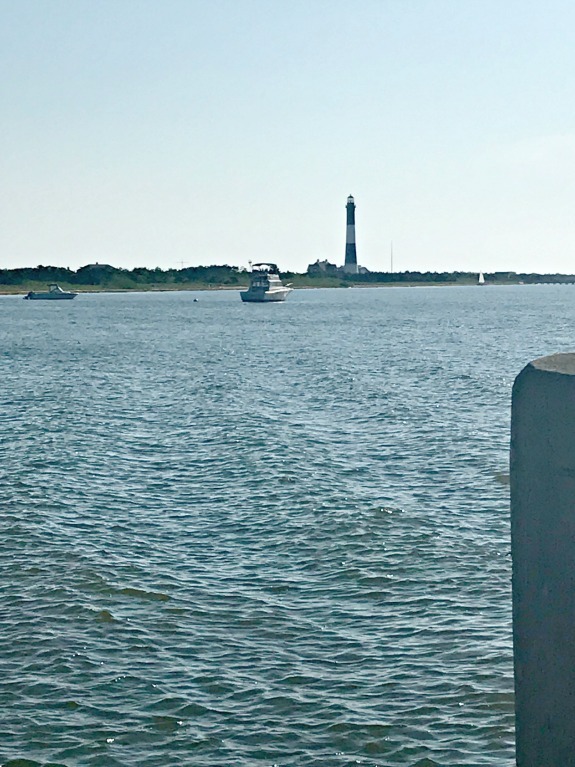 Here’s the Fire Island lighthouse which by the way, is supposedly haunted. The walk to Fire Island involves this boardwalk path for a bit until you hit a sand road. That’s when we spotted the deer. 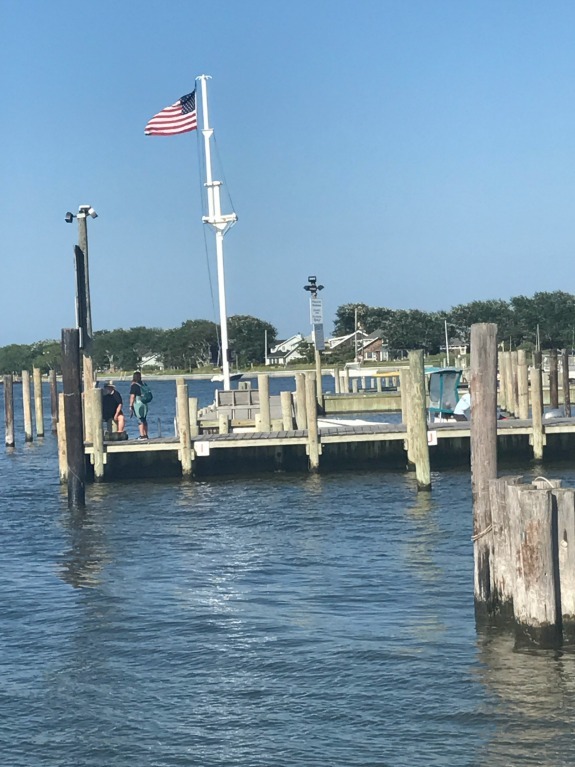 And then before you know it, you are in Kismet, Fire Island and feel like you are on vacation. 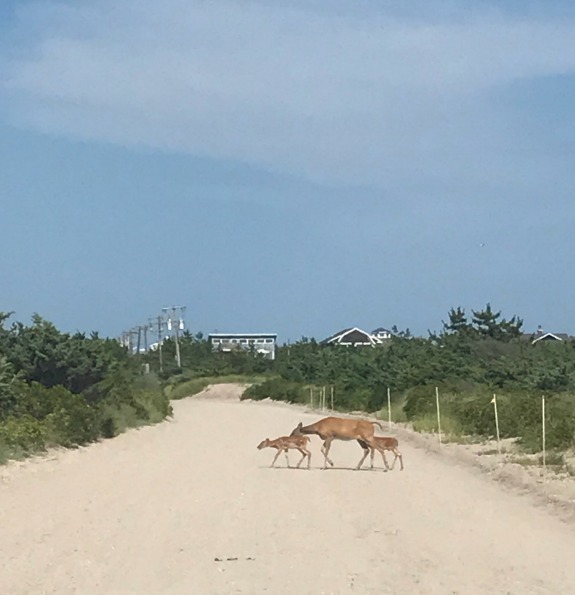 I haven’t done this walk to Fire Island with my son yet because I’m afraid he won’t want to do the walk back but I guess at that point we could always return by ferry. This post may contain affiliate links, thanks for your support! Are you in a need of a great strapless bra or do you have one you love? Don’t Need A Race + Not The Outdoors Type! Fire Island looks absolutely stunning! I don’t wear strapless stuff, for some reason, or need to wear a strapless bra under anything in particular. I’m a very sensible dresser. It’s weird because I am a super quirky person with lots of tattoos and piercings yet my clothing choices are SO PLAIN. I like it like that though. It feels like me. I usually only need a strapless bra in the summer so I’m glad I found this one at the moment for sure! 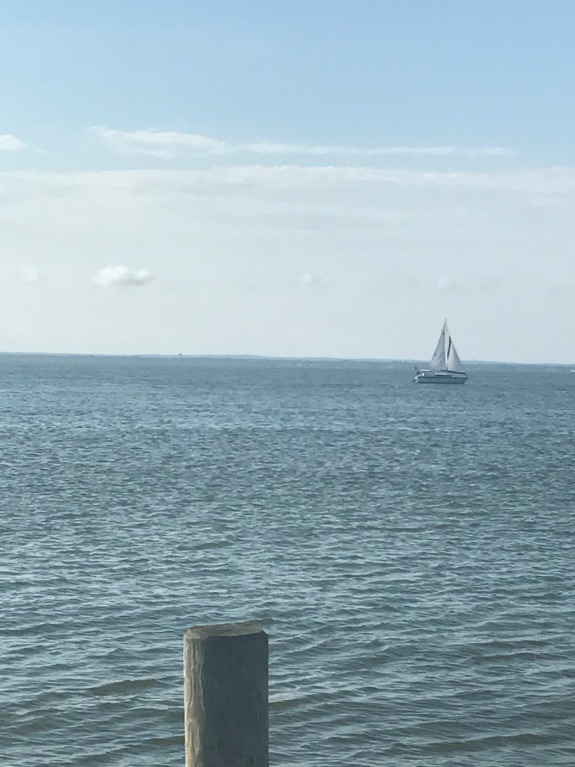 And fire island is really pretty. one day soon you have to come to New York to see! I need a strapless bra for some weddings I’m attending! I have one but it’s not super comfortable. The more I run, the more I need clothes I’ll wear for even just a few hours to be comfortable. Have a great weekend! definitely try this strapless bar – I forget it’s even one that’s how comfortable it is. I really like this strapless bra but I guess it depends on the cut of the dress- sometimes those dresses require a different type of fit/shape to ensure you don’t see the bra poke out from underneath. and ps – I hope your sister is using AllSeated for the seating chart! you need to go at least once in the summer! Sign me up for the fire island tour please. That looks beautiful. Also I’ll take two of the cauliflower topped pizza. There’s a restaurant here that makes these cauliflower topped nachos that I’m obsessed with. So good. 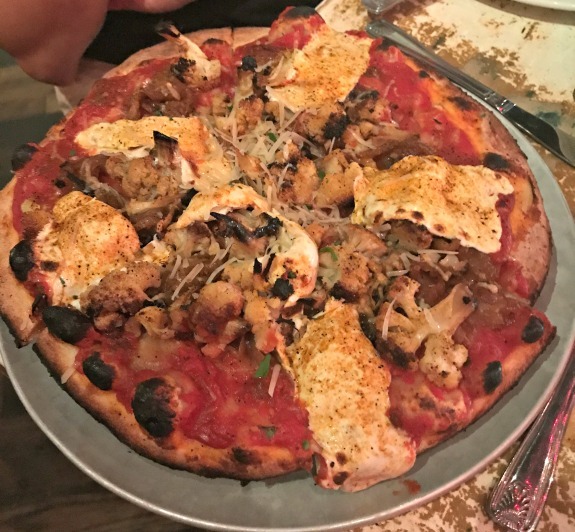 I can’t wait to get back there for that cauliflower pizza -it was so good!